HTC had announced the Desire X at IFA event and now it’s available in India for Rs. 19,799. Users can buy the phone from Flipkart. 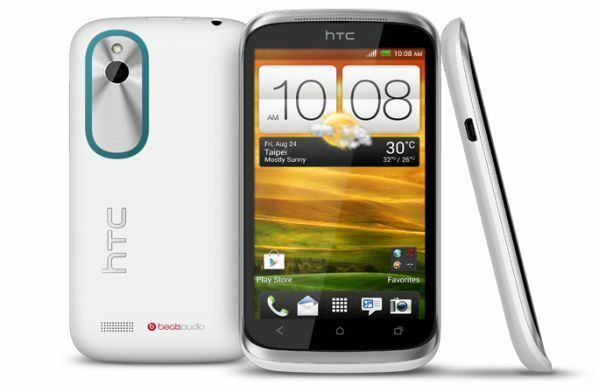 The HTC Desire X has a 1 GHz dual-core processor, 4-inch SLCD display, 5 MP Camera with HTC ImageChip, 4 GB of Internal Storage and it runs on Android 4.0 Ice Cream Sandwich and HTC Sense UI. The good thing is that HTC Desire X comes with a removable battery and MicroSD card slot to expand storage space which were not present in One Series. HTC Desire X camera UI is similar to One series and you can find all features such as HDR mode, BSI sensor, automatic adjustable flash, record video and photos at the same time and ImageChip help to take fantastic photos even in low light condition. 5 MP Rear Camera with HTC ImageChip, BSI Sensor, HDR mode and automatic adjustable flash.